Microsoft’s latest Windows 10 update, which was seeded to Insiders on the “fast ring” last week, aims to enhance the capabilities of Cortana. The company’s digital personal assistant now supports three more languages, making it functional in 14 languages in total. The Redmond, Washington-based company last week released Windows 10 build 14279 which, among other things, adds support for Spanish (Mexico), Portuguese (Brazil), and French (Canada) languages to Cortana. A new feature introduced to it allows Cortana to remember pieces of information even if you haven’t provided it with a due date. The feature, for instance, allows you to use Cortana to set a reminder about a movie, without specifying the date on which you want to be reminded. Additionally, Microsoft also utilised the build to enhance the login experience. The company says that it is merging Lock screen with the login screen so “there is just a single background.” Microsoft says that it is also improving the performance of Japanese IME especially on typing response. If you’re on the “slow ring” of Windows 10 update, you can expect all the aforementioned features and improvements coming your way in the coming days. 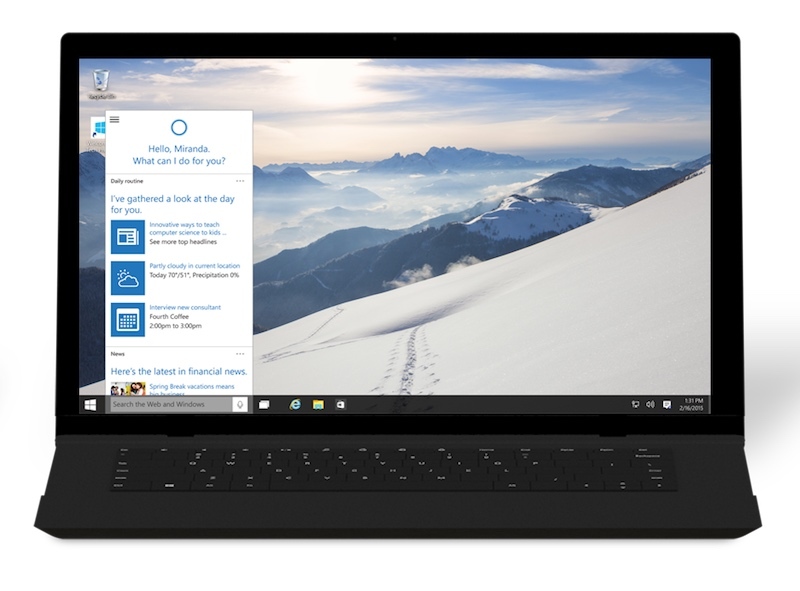 Regular Windows 10 users can expect these features to arrive in a few weeks. As for mobile users, it seems Microsoft is prepping the release of Windows 10 Mobile on a range ofLumia smartphones for later this month. Addressing concerns from users, Vodafone Italy noted on its forum website that it will be releasing Windows 10 Mobile, the newest version of Microsoft’s mobile operating system to a number of Windows Phone 8.1 smartphones between March 7 and March 13.